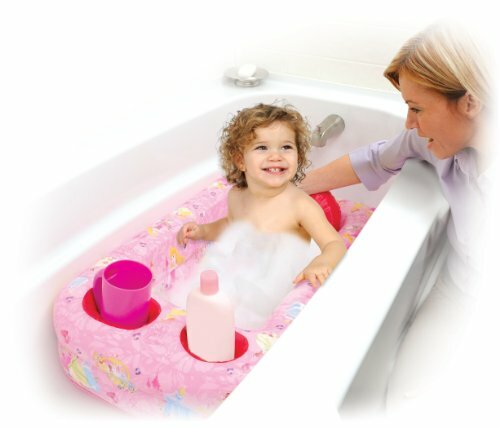 The Froggie Collection from Mommy's Helper introduces the Inflatble Bath Tub. Bathe baby in a safe, padded space. You can be sure the bath water is just right for your baby without constant testing and guessing. 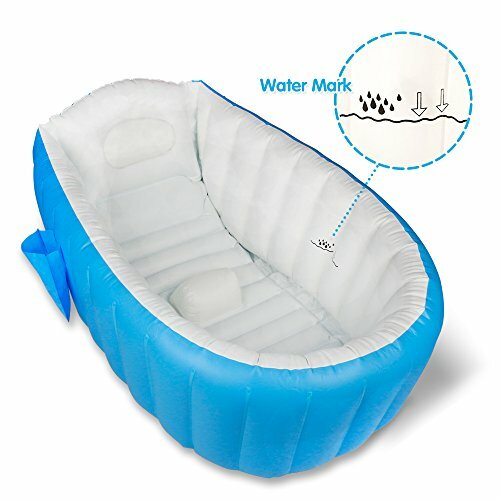 Our award-winning inflatable tub has our special white hot dot that turns white when the water is too hot, then turns blue when it's just right. 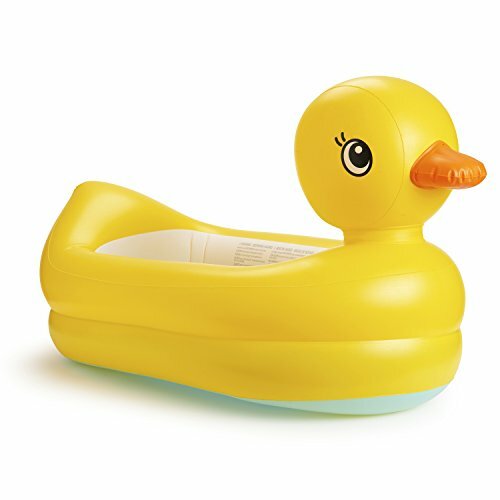 The adorable ducky tub has a contoured headrest and is fully padded for your baby's total comfort. It can be deflated and fold easily for travel. Ideal for babies between 6 to 24 months. We hope this tub was exactly what are looking for. 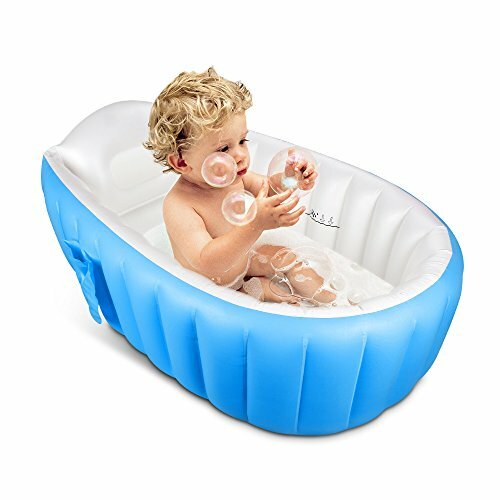 Our aim is to make your baby safe and fun and enjoy the bath time.Padded tub makes big tubs comfy for kids. Great for travel, deflates and folds easily. It's available for infants and children play, entertainment, bathing purposes. 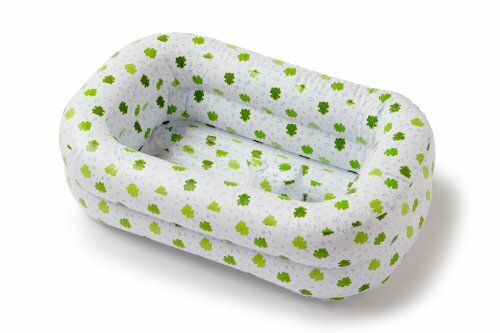 Anti-skid design of bottom and inner center cushion, ensure the safety and comfort of your baby. 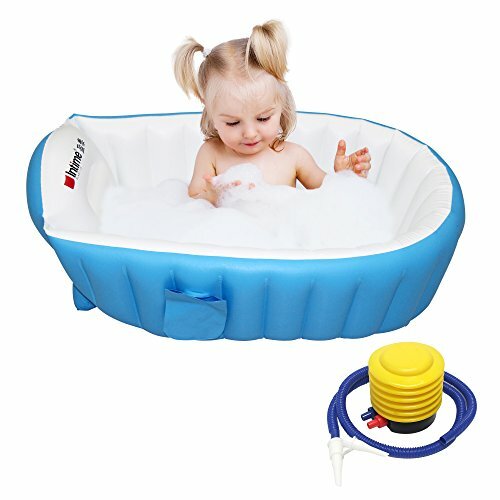 Baby grow up very quickly, this inflatable bath tub is a large enough which can fit 6 months - 4 years old baby. Note: Inflatable pump is NOT included. Inflate the tub (please inflate about 80% -85%) and thoroughly cover the nozzle. After use, please drain the tub through the drain hole is at the bottom of the tub, clean it and then put it in a well ventilated place to dry. 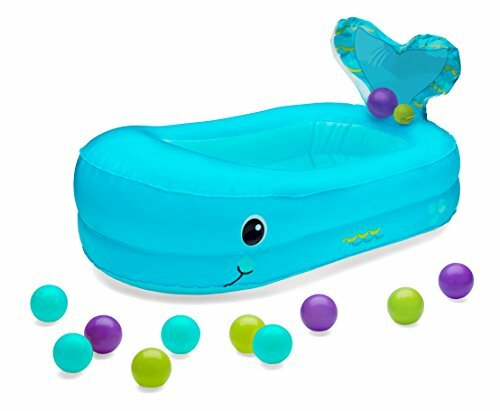 Have a ball in a soft, supportive whale tub that turns into a splashy ball pit with 10 floating balls and a jingling tail. Perfect for helping little ones transition into a large tub. Release plug to drain water when bath time is done. Deflates and folds easily, making it perfect for home or travel. This Disney Princess Inflatable Baby Bathtub makes bath time magical, combining safety, comfort & fun! 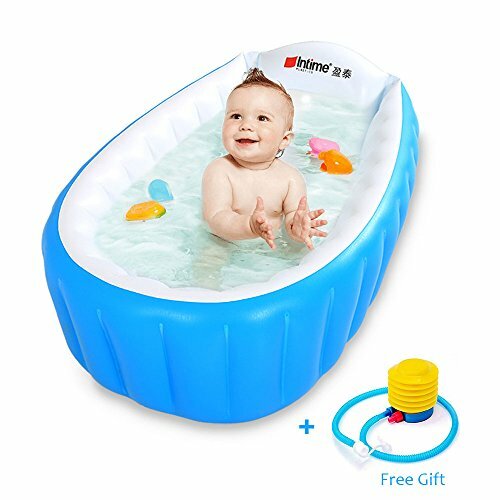 The air-cushioned tub features a supportive backpiece & all the basics including textured non-slip surface, water temperature display and large storage pockets for easy to reach soap and shampoo during the splish & splash session. When bath time is over, simply deflate and use attached hook to hang dry. Perfect for travel! Great for the Beach! 100% BPA, PVC, Phthalate, and metal free and is optimal for maintaining your child's health and safety. 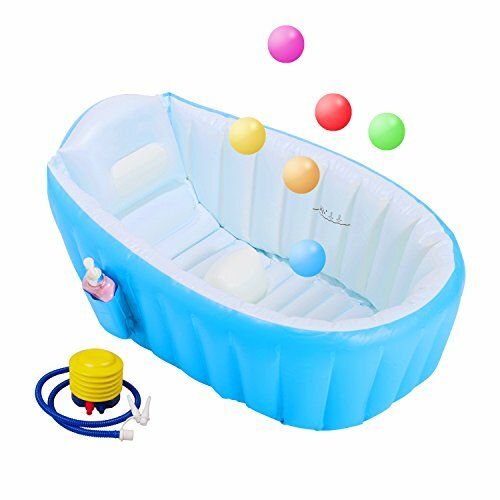 -Color: Blue-Inflate the tub about 80%-85% and thoroughly cover the nozzle.-After using, drain away water with special drainage outlets on the bottom of tub, clean it and put it in a well ventilated place to dry. 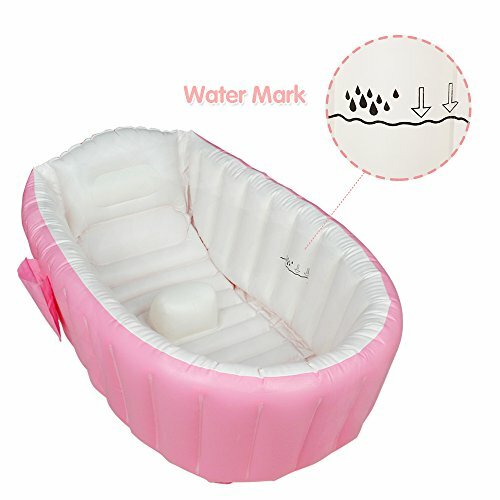 -Color: Pink-Inflate the tub about 80%-85% and thoroughly cover the nozzle.-After using, drain away water with special drainage outlets on the bottom of tub, clean it and put it in a well ventilated place to dry. Nai-B Inflatable Baby Bathtub - Hamster, Mint (or Pink) – bath time made easy!